One of Britain’s fastest-growing parcel firms has announced the creation of a new division to handle a growing volume of highly sensitive work for some of the world’s leading pharmaceutical and medical research companies. Following a spell as one of the company’s senior Customer Services staff, Ian Wilson has been promoted to Group Pharmaceutical Division Manager to spearhead the unit, which will be able to call on specialist staff, vehicles and facilities. 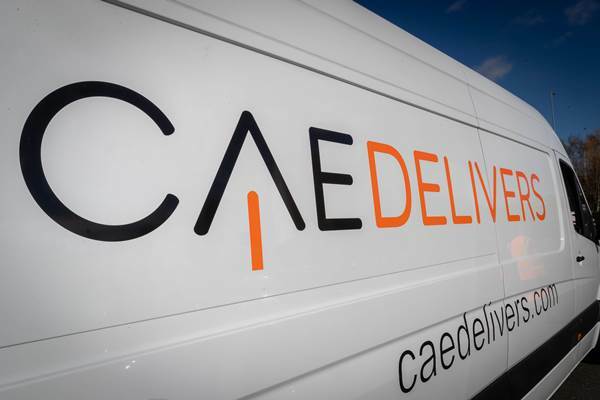 He said that it marked the latest chapter in a remarkable evolution for CAE Delivers, which has seen a considerable rise in parcel traffic and client numbers in the two years since a change of ownership. “As a result of the strategy which has been put in place and significant consequent investment, we have arguably become one of the most reliable carrier partners for medical services firms in Ireland, the UK and much further afield. “We are now able to handle their very specific needs for secure movement of time-sensitive pharmaceuticals, blood, organ and tissue samples right across the globe. “It’s not simply a matter of being quick and accurate but having both the equipment and the know-how to import and export such materials to assist both clinical trials and other urgent medical procedures. By focusing on developing its Irish operations, the firm has become the trusted delivery partner for major brands in retail, financial services, engineering and entertainment. The approach has paid dividends with parcel traffic in the critical pre-Christmas peak period up by more than 100 per cent.